On this page, we'll share our latest news, as well as the latest news happening in the pro-life movement throughout our state and country. Do you have ideas for future blogs? We'd love to hear from you! Email us at rm@optionsforwomenphc.com. Sexually transmitted disease infection rates continue to rise in Polk County, and the most recent reports released by the Centers for Disease Control show that all age groups continue to be at risk for contracting a sexually transmitted disease. At Options for Women, we are proud to offer FREE STD testing to anyone in the community who is seeking it. While our primary purpose is as a pregnancy help clinic serving women facing unplanned pregnancies and offering life-affirming services, women and men of all ages can come to our clinics in Bartow or Lakeland, or at our satellite clinic at The DREAM Center, to receive FREE limited panel STD testing. Sexually active people ages 15-24 contract nearly half of all newly diagnosed STDs, so it is especially important that people in this age group seek out testing. In 2016, sexually active 15-24-year-olds represented 63% of all reported Chlamydia cases in the United States. And the rates of gonorrhea infections continue to rise in this age group, as well. There are several reasons that may contribute to the higher infection rate among this age group. First, many young people often lack transportation to testing facilities, and then lack the funds needed to pay for these tests. It may also be difficult to schedule appointments around school and work schedules. Additionally, many fear a lack of confidentiality and may be embarrassed to seek out treatment. If they have to submit under their parent's insurance plan, they may opt to avoid testing. As we saw the increased infection rates in the most recent CDC reports, we knew we had to do something to help those in our community in need of testing. Options for Women offers three locations for patients to seek out STD testing regularly and also offers on-campus testing on college campuses throughout the school year. Testing is free and confidential, for both men and women. Monday – Wednesday and Friday: 10 a.m. – 3 p.m.
Mondays: 10 a.m. – 2 p.m. Patients can call Options for Women at 863-393-6988 or email us at ofw@optionsforwomenphc.com to make your free appointment today. We are so excited to invite you to our 2018 Vision for Life Fundraiser. This marks the 20th Anniversary of our event, and we cannot wait to share all the excitement of the last year with you. At the Vision for Life, you will hear about all of the ways God has been blessing our ministry. We continue to be amazed and humbled at the incredible things that come our way, and are inspired each day by these blessings. We hope you will join us, and invite your family and friends to join you to learn more about our mission and how we serve the community. Over the past year, we have served more women and have grown our OFW outreach. We are so pleased to be serving patients from our Lakeland and Bartow clinics, and our satellite clinic at the DREAM Center, which we share with A Woman's Choice. Additionally, we have started a community STD program that offers FREE limited STD testing at local college campuses and other locations. As we have seen an increase in the number of STD cases locally, we realized a need to broaden our reach and help as many people as we could have access to our free services. Our Steps to Sexual Integrity program is growing and thriving, and for the first time, we are offering a men's version of the program. Our Vision for Life event is important not only because we get to share all of the important work we do, but also because it gives you the opportunity to invest in our ministry. All of the services we offer the community are free of charge, and that is because of generous donations from community members. We are so blessed with amazing generosity, and the successes we have are because of this generosity. We hope you will save the date of Thursday, October 4 and join us at First Presbyterian Church on Lake Hollingsworth to hear more about the successes of the past year and our exciting vision for the future. The event is free to attend, and you can register today by clicking here. Formal invitations will be mailed soon. Did you know that the first pregnancy resource center in Lakeland started with only $40, but a lot of faith? Preg-Aid, the predecessor to Options for Women, was started by Pat Buckler in 1979. She saw a need to help women facing unplanned pregnancies, and felt God was calling her to offer what she could. So, armed with only $40, she begain Preg-Aid. Her efforts provided food, clothing and spiritual guidance to women in the Lakeland community facing unplanned pregnancies. After Pat's death in 1995, her daughters worked to continue her vision, but ultimately made the decision to shutter Preg-Aid. But in 1997, another group of citizens, inspired by Pat's faith, felt the need to continue Pat's work. In October 1998 the Pregnancy Help Center of Lakeland was opened. Our first home was a small house, gifted generously by retired OB-GYN Dr. Ellie Hartog and remodeled by Henkelman Construction. Then, in 2003 the Board of Directors voted to transition from a pregnancy help center to a true medical clinic. A Focus on the Family grant helped us fulfill this goal but purchasing an ultrasound machine, allowing us to transition to a medical clinic in May 2004 under the direction of Dr. Richard Rutherford. In 2005, Dr. Jeffrey Puretz assumed the volunteer position of Medical Director, a position he still holds today. In 2007, we implemented a linear service model that allows us to better serve abortion-minded patients. And in 2010, we purchased a new building that allowed us to expand our services and serve more women. We also officially changed our name to Options for Women Pregnancy Help Clinic. In 2013, the Knights of Columbus helped us purchase a new ultrasound machine. This machine offers doppler, which allows women the opportunity to not only see their unborn babies, but the opportunity to hear their heartbeats as well. Today, we are pleased to not only offer our services at our Lakeland clinic, but also at a satellite clinic at the DREAM Center of Lakeland and at our newest clinic, located in Bartow. The DREAM Center serves one of the most impoverished areas in Lakeland, and we offer our services once a week, along with our partners at A Woman's Choice. Our Bartow clinic began with a small request for financial support to help us broaden the reach of our services, and the Bartow community answered our request by inviting us into the community and helping us establish a new clinic. Located in the Bartow Church Service Center, we serve patients three days a week, offering the same free services we offer at our Lakeland clinic. Our story continues to unfold, and we continue to be amazed each day by the incredible blessings God bestows upon us. We look forward to what our future brings, and know that with the support of our staff, volunteers and donors, and the guidance of the Lord, we will continue to transform fear into confidence and save lives. Last week, our friend Rebecca Klein, who is the executive director of another pregnancy clinic in Lakeland, wrote a beautiful blog about how pregnancy clinics like hers and ours are actually pro-choice (read her blog here). Oh how right Rebecca is! You may be facing an unplanned pregnancy, but you have options, and we believe every woman deserves to hear the full truth about each option facing her. The world may tell you that abortion is your only option, but we believe that once armed with the truth on every option available, women will realize that they’ve been sold a lie. Our name is Options for Women, and we believe that to truly empower women, they must have the truth of every option presented clearly to them. Some in the pro-abortion camp may try to say that our name is misleading because we don’t perform abortions here. But we think our name perfectly encapsulates what we do. We don’t mislead women - when a potential patient calls to make an appointment, we clearly state that we neither perform nor refer for abortions, but that at our clinic, a woman can get all the information she needs to make an informed choice. We believe education, paired with love, can help women transform their fear about an unplanned pregnancy into hope for the future. We often find that when women who are abortion minded come to our clinic, they are thinking of having an abortion only because they feel it is their only option. What a lie that is! When faced with an unplanned pregnancy, a woman will have a host of choices to make. And those can be scary and confusing to navigate. In a world where abortion is not only available but glamorized, many women often just assume that is the path they should choose. And we think that’s because all of the options are rarely presented to women in these situations. Abortion is presented as an easy solution, but after working with post-abortive women, we can tell you it is anything but. If we want women to truly be empowered, shouldn’t we present all of their options to them? Shouldn’t we talk openly about adoption and share resources on adoption? Shouldn’t we show women all of the resources available to help her if she chooses life? Shouldn’t we have referrals ready for OB-GYNs who work with the un and under-insured, as well as resources for everything a woman will need throughout her pregnancy and beyond? But shouldn’t we also talk about the reality of abortion? Shouldn’t we discuss the procedures available, along with possible side-effects and risks so that women can make their decisions with complete understanding of what they are choosing? Real choice involves allowing all of the options to be presented to our patients, and then allowing them to choose. And that is exactly what we do at Options for Women each day. We hope that every woman who walks in our door will choose life for her unborn child, but we know that isn’t always the case. But, we will continue to provide our services, and the truth about all of the options available during an unplanned pregnancy, in the hopes that more women will become empowered by the truth. All of the services we provide our patients are free of charge. We believe women who are already in a difficult situation shouldn’t also have to be burdened by cost. We are a non-profit clinic, and operate on the generosity of our donors. We don’t profit off of any decision a patient makes. And that means we aren’t clouded by profit margins and bottom-lines. We can present a patient’s options clearly, truthfully and objectively, because no matter what choice a woman makes, we aren’t benefiting monetarily. At Options for Women, we believe women deserve options, and they deserve truth. Women are strong, capable, and smart. And at pregnancy resource clinics like ours, we believe women can make their own choices. In this next in our series of blog posts on why you should visit a pregnancy help center such as ours instead of Planned Parenthood, we’re going to break down some more dangerous terminology PP is using to scare women facing unexpected pregnancies. What exactly is PP trying to do with this statement? We believe they are encouraging women to make hasty decisions, before truly looking at all of the options available to them. Making it appear that the longer you wait to make your decision, the more dangerous it will be for you. It is true that abortion procedures become riskier the later they are done in pregnancy. But you should never feel as if you are being forced to rush into a decision that you may regret later. If you aren’t sure if abortion is the right decision for you, hearing statements like the one above may make you think you need to decide right away. But if you aren’t sure what you want to do, wouldn’t you feel more comfortable in a loving environment that, rather than profiting off of your decision to abort, offers you the truth about each option facing you, and then offers you resources to help you after you make your decision? That’s very true – no one who truly cares about your health should ever pressure you into making a decision about your pregnancy. But wouldn’t their previous statements lead you to believe that they are putting pressure on you to hurry up and decide. From their 2012-2013 annual report, PP acknowledges that they performed 327,166 abortion procedures. That’s in comparison to offering only 19,506 women prenatal services and only 2,197 adoption referrals. This incredible discrepancy would lead us to believe that maybe Planned Parenthood isn’t practicing what they preach. It seems next to impossible that 94 percent of women facing unplanned pregnancies would choose to abort, if truly given all of the facts about the options facing them. And that’s in very stark contrast to what we see in our offices. Last year, of the abortion minded women who came to Options for Women, nearly 75 percent of them chose life for their unborn children. Why would that be? Why would nearly all of Planned Parenthood’s patients choose to abort, while a huge majority of ours would choose the opposite? Quite simply, it’s because we offer the facts. But we do more than that. We offer a loving, safe environment for the woman and her partner to make the decision that is best for her. There is no bullying, there are no scare tactics used. We simply offer the truth – on pregnancy, abortion, and adoption. We also offer the facts about the resources available after the decision is made, and make sure the women we serve know that they are not alone. They’ll never have to go through this process alone. Our staff and advocates truly care about the women we serve. And that’s the main difference between us and Planned Parenthood. We have nothing to profit from, so we can instead simply offer our love and support. These are words from the Planned Parenthood website. There is one thing about this statement we agree with…no one should ever pressure you or trick you into making a decision you don’t want to make. And that is one of the reasons why the work we do is so important. Only at a pregnancy center such as ours will you find the truth about all of the options available to you. And in a loving environment, surrounded by people who have nothing but your best interest at heart. That’s it. Planned Parenthood would have you believe that our office is loaded with people who want to force you into keeping your pregnancy and will use whatever methods necessary to carry out our goal. Including scaring you into keeping your baby. But a chat with any patient, past or present, will tell you otherwise. In fact, here are some comments from patients. Hope…isn’t that what we should be offering women who are in need? Shouldn’t we be telling these women that there is help? That there is love? That there is a light at the end of what may seem like a long, dark tunnel for them? That’s what Options for Women does. We offer women a place to learn about all of the options facing them, in a non-judgmental, loving and safe environment. But what we do goes beyond just the present – we connect women with the help they need for the future, too. If you are in need, and looking for the truth about the options facing you, and also resources that can help you, Options for Women is where you should be. All of our services are offered free of charge. We provide pregnancy tests, ultrasounds and even STD testing to all of our patients. Unlike Planned Parenthood, we do not profit off of any decision you make. So which sounds better to you…an organization who seeks to lift women up and help them find the resources they need to better their situation? Or the organization that profits from exploiting women’s fear? Call us today to schedule an appointment and let us transform your fear into confidence. A new bill has been introduced in the Florida Senate by Senator Kelli Stargel that seeks to protect women who have been injured during an abortion procedure. In Florida, the current statute of limitations to file a medical malpractice suit against a physician is two years. Senator Stargel believes this should be extended for physicians performing abortions, giving a woman up to 10 years to seek damages. "If you have an abortion when you're a younger girl, you don't know that there's been any damage or that there have been any problems until later down the road,” says Stargel. We believe this is a great step in protecting the health and well-being of women in our state. Senator Stargel is correct that there can be very real and very dangerous risks associated with an abortion. And should an error be made during the procedure, that is not known to the woman until years later, she should have the ability to seek damages. At Options for Women, one of our primary goals is to provide women with all of the information they need to make a completely informed decision. And part of that is discussing the abortion procedure, and the very real risks and side-effects associated. The pro-abortion side seeks to silence the pro-life community when we discuss that reality that there can, in fact, be negative consequences to an abortion. And when news of this bill broke, a small group of Planned Parenthood supporters even staged a protest at Senator Stargel’s office. The group believes that Senator Stargel’s bill is an attack on safe, legal abortions by intimidating physicians. To read the full text of the bill, click here. To contact Senator Stargel to offer your support for her efforts to ensure women in our state are protected, click here. When faced with an unplanned pregnancy, a woman may be scared and confused enough without also wondering where to go for help. She wants to know that wherever she chooses to go for counseling and help will have her best interest in mind. And that’s exactly why she should make her first visit to a pregnancy help center. At Options for Women Pregnancy Help Clinic, we are a pregnancy resource center that understands that a woman experiencing an unplanned pregnancy may face some of the most difficult decisions she will ever make. We specialize in helping women get the information they need so they can make those decisions with confidence. Women have the legal right to choose the outcome of their pregnancies. And she needs to know and understand what her options are. The first thing a patient notices about our office is that everyone is warm, friendly and caring. Each member of our staff is dedicated to helping our patients make the decision that is right for them, with complete support and anonymity. Yes, at Options for Women we have a goal of helping to end the number of abortions in our community. Centers like ours, however, strive to help women make an informed decision. And that means knowing and understanding all of the resources available to should a woman choose to continue her pregnancy, understanding the reality of abortion, and understanding what adoption options are available. It’s that simple. There are no scare tactics used. There is no coercion. We simply offer the facts in a non-judgmental and caring manner. We put WOMEN first. We are here to listen, to help, and to offer a caring place to explore all the options available. All of our services are offered free of charge. We are a medical clinic with trained staff waiting to help you discover more about the options available to you, and to help you understand everything you need to know before making your final decision. But perhaps the most important thing about visiting a clinic such as ours is that we offer non-judgmental services, in a safe and caring environment. Our staff will work hard to make sure every patient feel comfortable and leave armed with everything she needs to know in order to make the decision that’s right for her. But that’s not all – we’re with her every step of the way. We know that many women may feel completely alone when faced with an unplanned pregnancy. Options for Women offers loving support, and can link them to the services they need should they make the decision to choose life for their baby. No tricks, no gimmicks, no guilt involved. Planned Parenthood is politically motivated and may not have the true best interest of their patients at heart. If you aren’t sure yet if you want to have an abortion, do you really want to visit a place where 94% of the women seeking counseling end up having an abortion? That statistic may lead one to believe that PP is the one who doesn’t offer full and complete information on every option to the women they claim to serve. From their 2012-2013 annual report, PP acknowledges that they performed 327,166 abortion procedures. That’s in comparison to offering only 19,506 women prenatal services and only 2,197 adoption referrals. That means of the services they offered pregnant women, abortion was the result nearly 94% of the time. In addition to that, they supported a state law in California that allows non-physicians to provide abortion. For an organization that claims to be the leader in protecting women’s health, it seems very contrary to their mission to support the ability of non-physicians to perform medical procedures. Options for Women has no ulterior motives, no brand to build and maintain, and nothing at stake other than protecting the women we serve. We are a non-profit organization, meaning all of the services we offer are free of charge to our clients. We don’t profit from you, instead giving you the power and knowledge you need to make the best decision for you. We will continue to fight every day for the women we care for to receive the best, most comprehensive, non-judgmental and unbiased information on ALL of the options available to them. Because we truly care about you and your health. If you’ve ever spent time browsing the Planned Parenthood website, or talking with pro-choice proponents, chances are you’ve heard that pregnancy help clinics can’t be trusted because centers like ours aren’t medical clinics. Abortion proponents often use the claim that crisis pregnancy centers are not medical clinics, but rather just counseling centers that will use deception and religion to try to coerce a woman to keep her baby. While there are centers that are counseling focused and do not offer medical services, Options for Women Pregnancy Help Clinic combines the two. We are a fully licensed medical clinic, with highly trained nurses on staff, and all actions of our clinic are overseen by a licensed physician who acts as our medical director. We believe that in order for a woman to make an informed choice about her pregnancy, she must be armed with all of the facts. And that includes being seen by a skilled nurse who can confirm her pregnancy through an ultrasound, provide STI testing, and other important medical information the woman will need. We combine this with counseling services, because we know that women facing an unplanned pregnancy need to be able to talk to someone they can trust, who they know will provide them with accurate, complete information, while also providing the love and support the woman needs. What a deception this is! Options for Women PHC, and clinics like ours around the country, are anything but fake clinics. Each of our patients is seen by a trained and skilled nurse, and provided with accurate information on pregnancy, STIs, adoption, and abortion. We would never attempt to use scare tactics or deception to “trick” a woman into keeping her baby. We are proudly pro-life clinic. Our mission is to erase the need for abortion through effectively serving pregnant, at-risk women. We long for the day when every child is wanted, however, we take the care and well-being of every patient we see very seriously. Every woman who comes to our office will receive real care provided by one of our trained nurses. We do not perform or refer for abortions, but we do offer complete, accurate facts on the options available to women. We think that women considering abortion deserve to know the truth about every option facing them, before they jump into a decision. Do you really think an abortion provider, who only profits if the woman decides to abort her baby, will offer unbiased information? If a woman has questions about her options, or about the abortion procedures available, including how it can affect her health and future, a pregnancy help clinic is exactly where she should be. We offer FREE, CONFIDENTIAL and HONEST services for free to every patient who comes in our door. That means she never has to wonder if we are attempting to pressure her into a decision based on monetary reasons. And that’s one statement we agree with. Planned Parenthood in Winter Haven Closes! 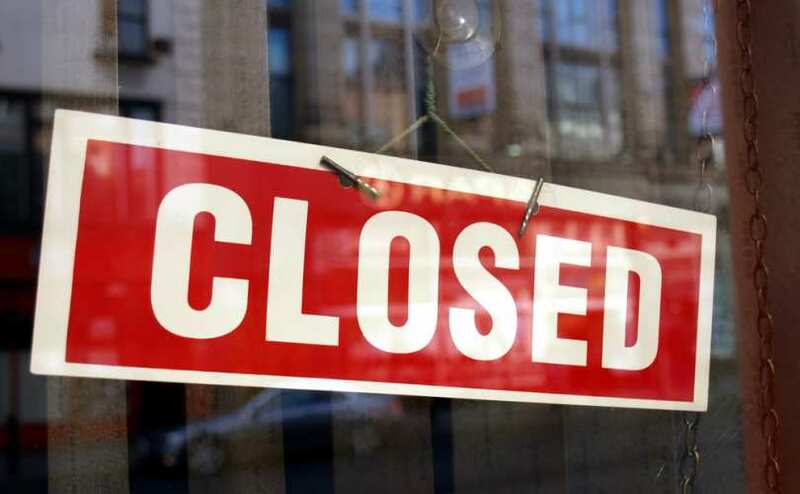 T he Planned Parenthood clinic in Winter Haven has closed! Thank you to all of the pro-life supporters in Polk County who have prayed, and protested, and used their voices to help make that happen. The Winter Haven location was the only Planned Parenthood location in Polk County that performed surgical abortions, offering them through 16 weeks of pregnancy, as well as dispensing the abortion pill. The clinic’s staff will be merged with the staff at the Lakeland location, which does not report doing abortions. However, we’d like to point out that dispensing the abortion pill, known as RU-486 is not included in abortion statistics in Florida because it is not considered a medical procedure. The Florida legislature is currently working on a budget that guarantees no state dollars go to Planned Parenthood. In light of this, Planned Parenthood said that closing their Winter Haven facility made the right fiscal sense. That most likely means that the number of abortions they were performing greatly decreased, lowering their profit margin. And without government assistance, they could no longer justify keeping the clinic open. We think this is largely in part to the work and prayers of pro-lifers here in Polk County. You made your voices heard and you showed Planned Parenthood that women deserve much better than what they offer. You know that when a woman is faced with an unplanned or crisis pregnancy, she may feel that abortion is her only option. But, when shown that there are resources and people to help, that same woman will often opt for something other than abortion. How do we know? Because 89% of the women we served last year chose life for their babies. We saved 243 babies last year. And it is precisely because we do the opposite of what Planned Parenthood does. We love the women we serve – no matter their circumstance, no matter their thought process, no matter what. We show them that parenting is a real option for them, and show them why and how they can do it. But we also show them the reality of abortion. While many may only consider the monetary cost of an abortion, there are very real physical, emotional and spiritual side effects and consequences that can accompany the decision to abort. We see it in the women we serve who have had a previous abortion. But when Planned Parenthood looks at the women they serve, they see dollars. Planned Parenthood profits off of a woman’s decision to end the life of her child. But when women realize that abortion is not their only option, those dollars go away. And with it, Planned Parenthood’s doors close. It’s a trend we’re seeing nationwide. We rejoice in the news that clinics around the country are closing, because we know that women deserve much better than abortion. And no matter what Planned Parenthood may say, they are in the abortion business. But the tide is turning, and soon, that is going to be a very bad business to be in. So to all of you, we say thank you. Thank you for your prayers, your voices and your work to help ensure that women in Polk County get the compassionate and honest care they deserve.